A red-hulled tanker is drifting in Massachusetts Bay, trying to capitalize on the two-month window when natural gas in this region can become the most expensive in the United States, and sometimes the world. 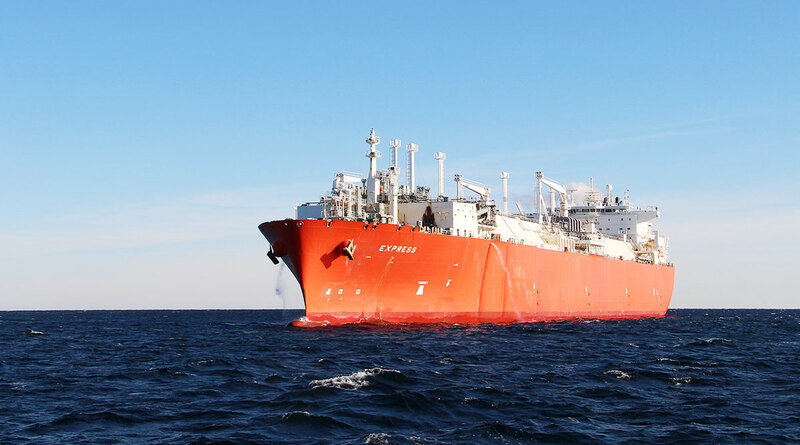 The vessel, owned by Excelerate Energy LP, is delivering super-chilled liquefied natural gas from Trinidad to Excelerate’s Northeast Gateway, a deepwater port 13 miles offshore of Boston. Tankers at the port turn LNG back into a vapor for delivery to power plants and other customers via underwater pipeline, offloading cargoes whenever a cold blast sends prices soaring. Northeast Gateway is something of anomaly: It is importing gas as the United States is building new export terminals to send abundant supply from shale fields to buyers as far away as Asia. But as pipeline projects in New England face legal delays and public opposition, not enough of the heating fuel can reach the region when demand spikes. The Northeast also can’t receive gas from other U.S. states by ship because of a 1920 law that prohibits foreign-flagged vessels from moving among American ports. On Feb. 1, when Exemplar and Express simultaneously were berthed at the terminal, they sent enough fuel to run all of New England’s gas-fired generators for the day, according to Oliver Simpson, vice president of Excelerate’s commercial operations. Massachusetts also receives gas imports through Exelon Corp.’s onshore Everett terminal next to Boston. Another East Coast terminal, Dominion Energy Inc.’s Cove Point facility in Maryland, received a cargo from Nigeria late last year. Northeast Gateway started up in 2008, just as the shale boom took off. Though the facility remained idle for about two years until this winter, gas imports to New England have climbed as pipeline bottlenecks worsen and underground stockpiles remain below normal, sending prices sharply higher. The jump in imports comes as U.S. LNG exports climb to a record. On Feb. 22, Venture Global LNG Inc. said it will start construction immediately on its $5 billion Calcasieu Pass export terminal in Louisiana after receiving approval from the top U.S. energy regulator. Even though New England’s gas prices climb in the winter, the region is only a premium market for two months, January and February, Simpson said. The company missed out on a price surge last winter because all of its tankers were chartered out to customers. To avoid a repeat, Excelerate is seeking deals with power generators, utilities or other gas buyers to use Northeast Gateway next winter, Simpson said. Simpson and Scott declined to describe what those agreements could look like. LNG tankers typically are locked up for months or years. Excelerate scrambled to find two this year, including one from a Mideast customer looking for a short break, Scott said. The company sank more than half a billion dollars to bring in the vessels and make other arrangements, he said. According to Scott’s estimates, the fuel the tankers delivered helped save New England $1.2 billion by capping prices and also cut emissions by the equivalent of 6.2 million cars by keeping power generators from switching to coal or fuel oil. “I would describe this winter as a proof of concept,” Simpson said.